We’ve gathered 27 of the most popular job descriptions into one easy to read resource to save you effort and time. Wether you are looking to hire or clarify your current staff’s roles, you will find the detailed information you need in this powerful booklet. About the creators: ChurchJobFinder has over 10 years of experience helping churches find their next youth pastor, worship pastor, children’s pastor, lead pastor, audio/video techs and more! 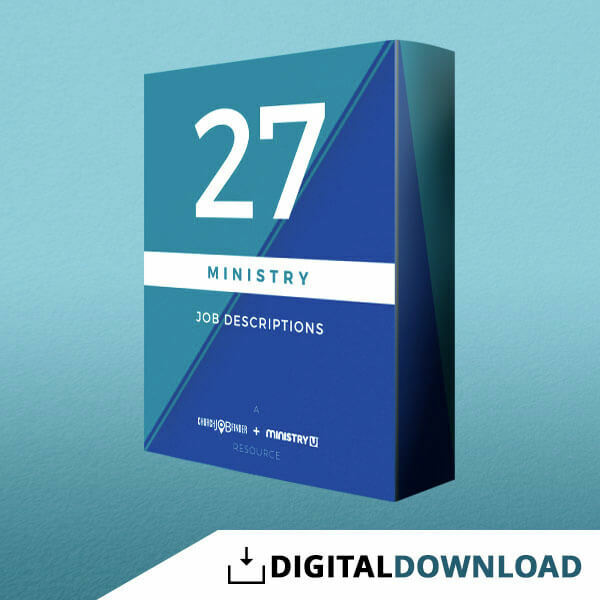 Get your 27 Job Descriptions Today!